Touring Poverty addresses a highly controversial practice: the transformation of impoverished neighborhoods into valued attractions for international tourists. In the megacities of the global South, selected and idealized aspects of poverty are being turned into a tourist commodity for consumption. The book takes the reader on a journey through Rocinha, a neighbourhood in Rio de Janeiro which is advertised as “the largest favela in Latin America.” Bianca Freire-Medeiros presents interviews with tour operators, guides, tourists and dwellers to explore the vital questions raised by this kind of tourism. How and why do diverse social actors and institutions orchestrate, perform and consume touristic poverty? In the context of globalization and neoliberalism, what are the politics of selling and buying the social experience of cities, cultures and peoples? 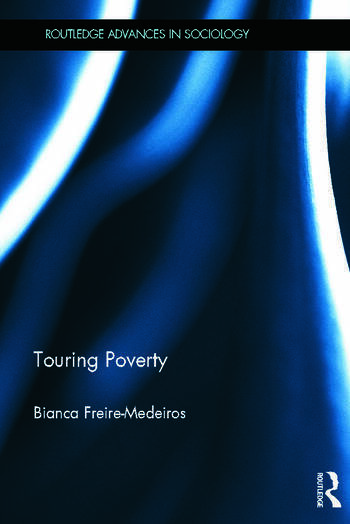 With a full and sensitive exploration of the ethical debates surrounding the ‘saleof emotions’ elicited by the fi rst-hand contemplation of poverty, Touring Poverty is an innovative book that provokes the reader to think about the role played by tourism—and our role as tourists—within a context of growing poverty. It will be of interest to students of sociology, anthropology, ethnography and methodology, urban studies, tourism studies, mobility studies, development studies, politics and international relations. Bianca Freire-Medeiros is Senior Lecturer in Sociology at the Center for Research and Documentation on Brazilian Contemporary History (CPDOC) at the Getulio Vargas Foundation in Rio de Janeiro, Brazil. She was a Research Fellow at the Center for Mobilities Research (CeMoRe) at Lancaster University. Bianca Freire-Medeiros recently published an article in the Journal fo Lain American Cultural studies regarding the influence of the film City of God on the way tourists experience the favela (in this case Rocinha) in “real life”. She investigates how experiences are related back to idealised notions that have been taken from the cinematic favela of City of God and looks at the extent to which this gives further legitimacy to such images. The article can be downloaded from Ingenta connect although unfortunately a subscription is required. Freire-Medeiros, B. (2011) “I went to the City of God”: Gringos, guns and the touristic favela. Journal of Latin American Cultural Studies: Travesia, 20 (1), p.p.21. If you have recently seen or published a journal article, book or any other type of publication that involves slum tourism, please let us know so we can make others aware of it. An interesting finding of the Destination Slum! conference for me was just how many different shapes and forms slum tourism has across the world. The term slum tourism may act as an overencompassing term, but it does hold certain negative connotations and can lead to generalisations that do not fit in certain contexts. Not only may the term be unable to fully accommodate the great differences between “slum areas” around the world, it also suggests “slums” are homogenous entities. Of course this is not the case. While nearly all areas that are visited under the name of slum tourism include people living in shacks, other parts of these areas often are indistinguishable from other (richer) suburbs that would never be represented as slums. In different countries other terms have become more common to better describe the localised forms of slum tourism. 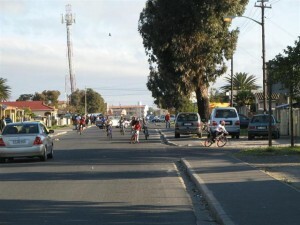 The most famous terms are of course favela tourism in Brazil and township tourism in South Africa. At the Destination Slum! conference however we were also told that a more appropriate term for slums in Egypt would be “Ashwa’iyyatt”, which may lead to the term Ashwa’iyyatt tourism. We were also informed that in China “slum areas” are not necessarily completely urbanised and slum tourism instead may be named “tourism to villages in the city“. While these terms are undoubtedly better descriptives of the local forms of tourism, I do believe there is a place for the name slum tourism to describe the worldwide phenomenon. Although by no means perfect, it does appear to be able to bring together and combine these differerent outings of tourism around the world in one way or the other. Others may disagree and believe the term is actually hindering our understanding of the concept of slum tourism. Feel free to comment with your opinion or to share your thoughts on other related questions such as: What other terms are used to describe slum tourism around the world and why are they more accurate than the general name slum tourism or how would we actually define slum tourism?